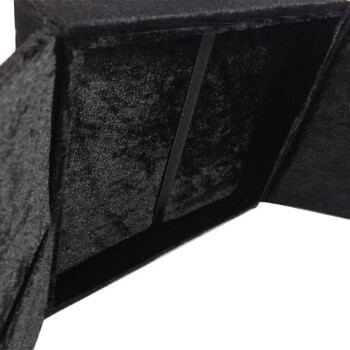 Luxury, complexity, and simplicity combine this hand-crafted velvet covered wedding invitation box. 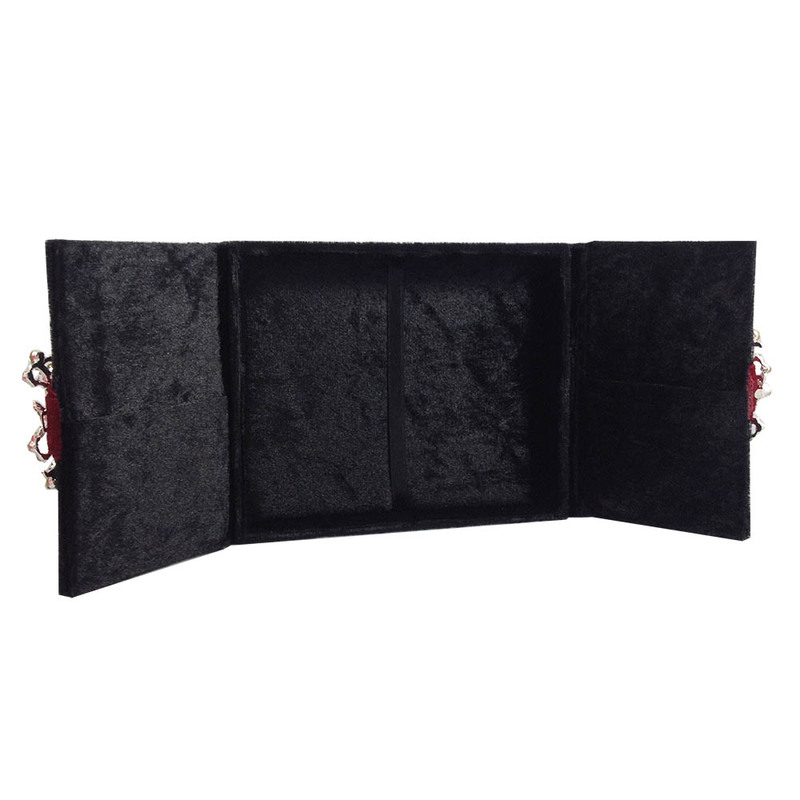 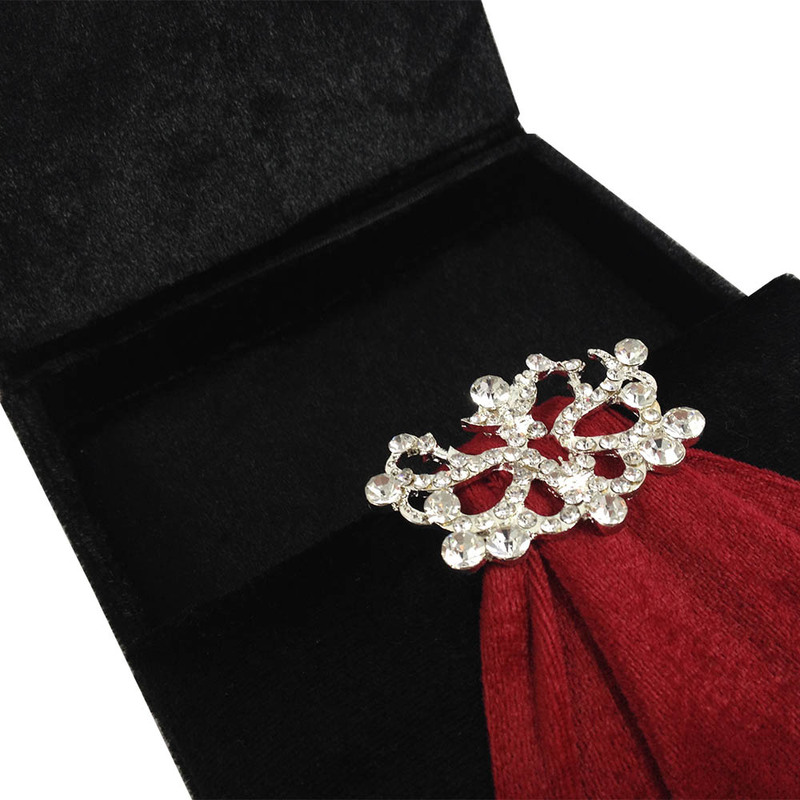 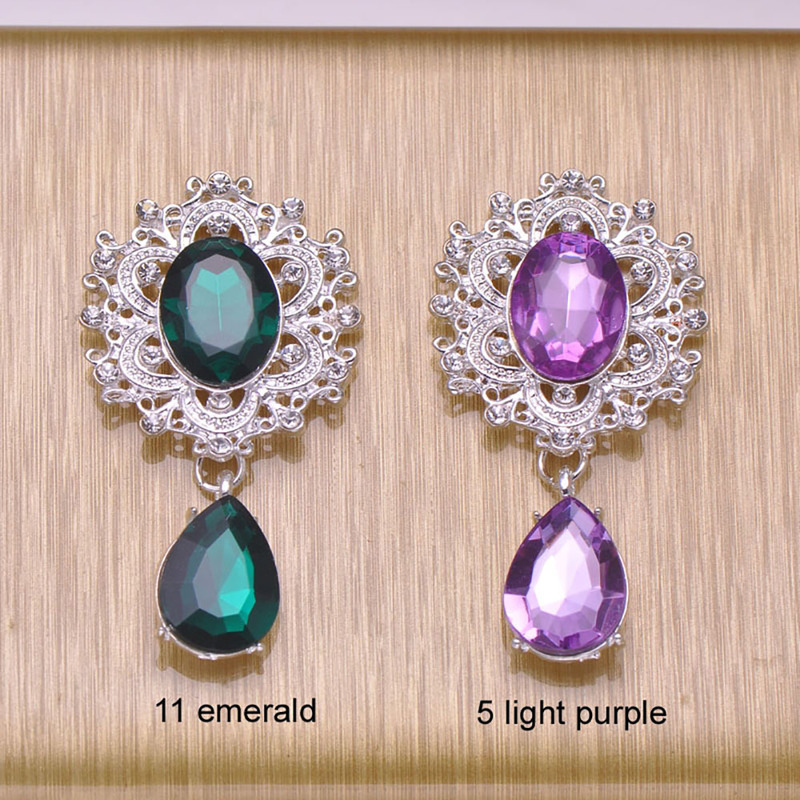 Black velvet combined with wine red band attached to a large rhinestone crystal clasp will set the tone for your event. 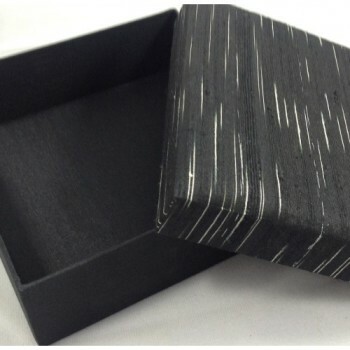 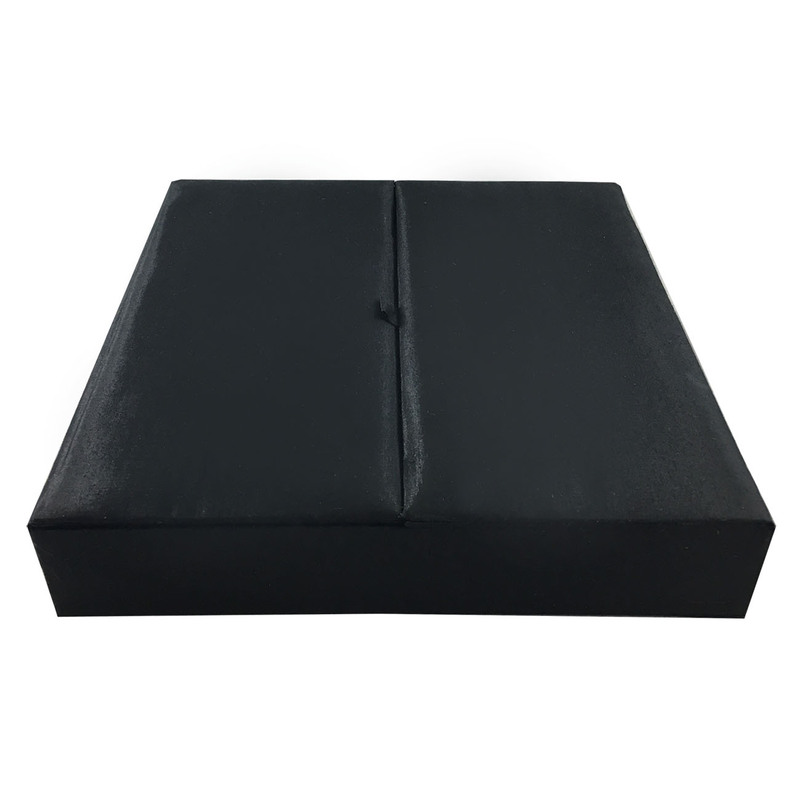 Whatever you are planning the grand opening of a luxury hotel, restaurant or corporation, this luxury invitation box will impress from the start. 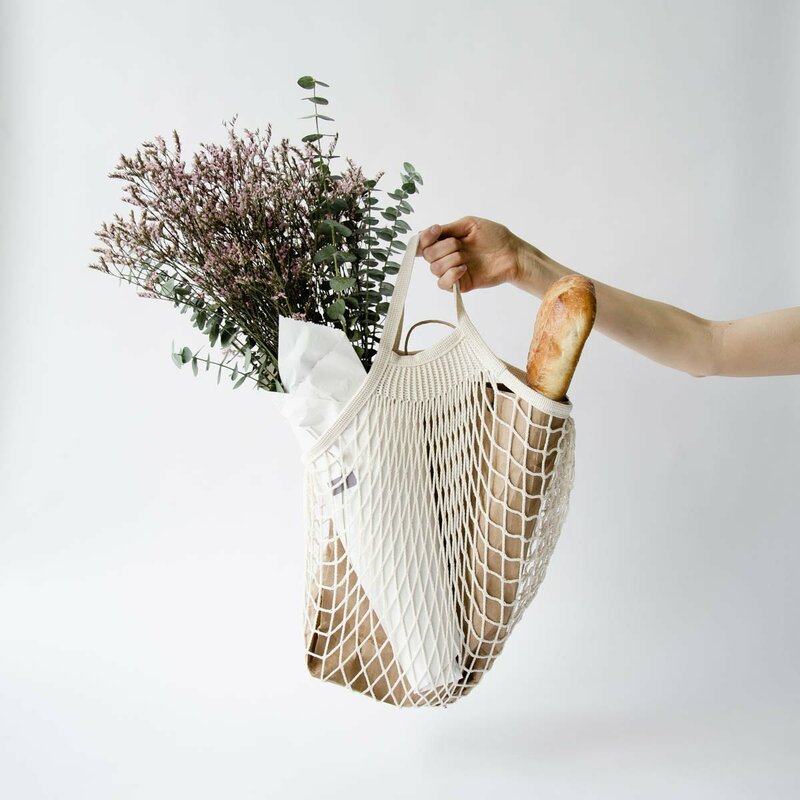 Add your brand identity in form of logo embroidery, metallic color print or a printed slogan on the inside of the box. 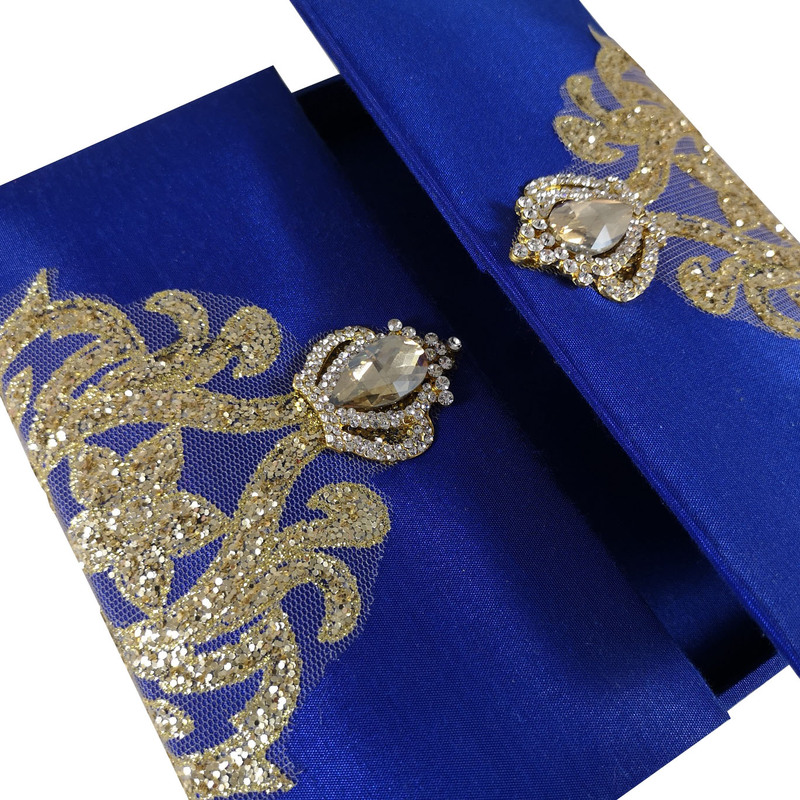 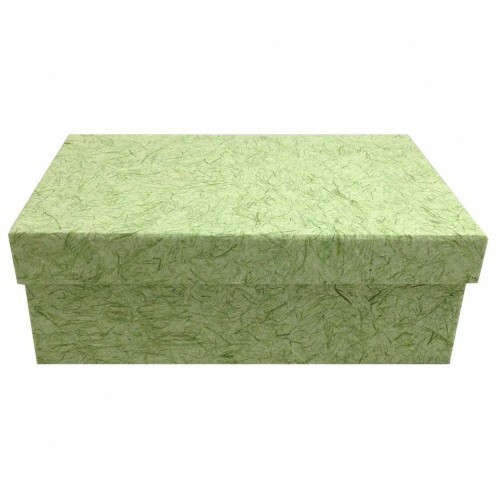 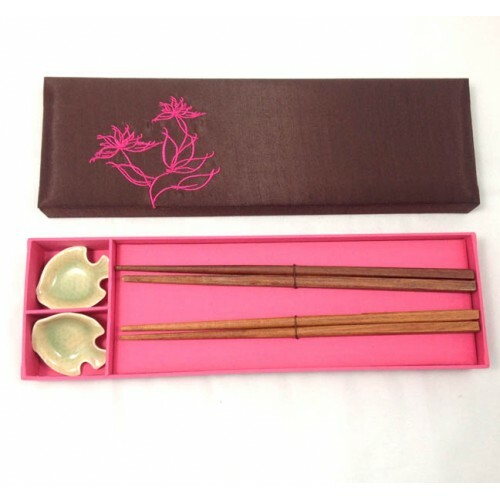 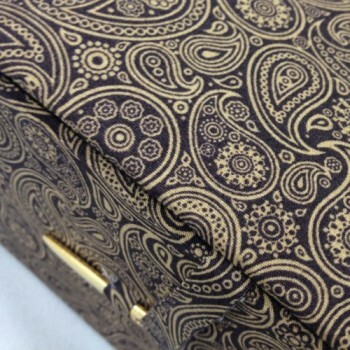 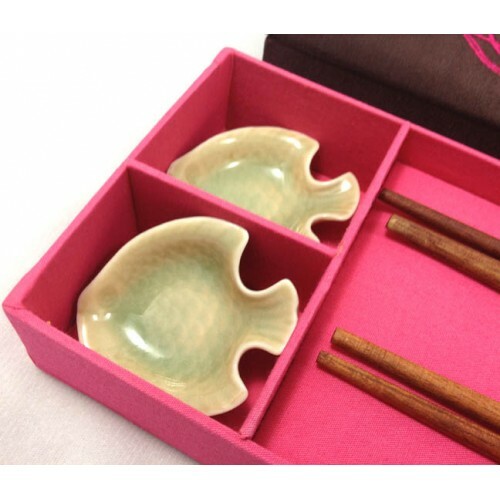 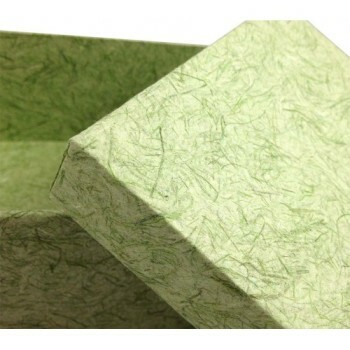 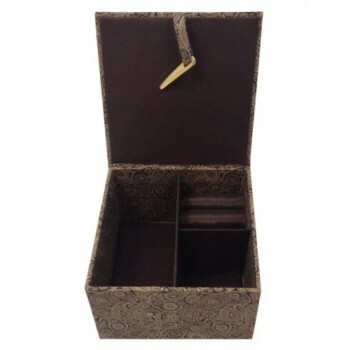 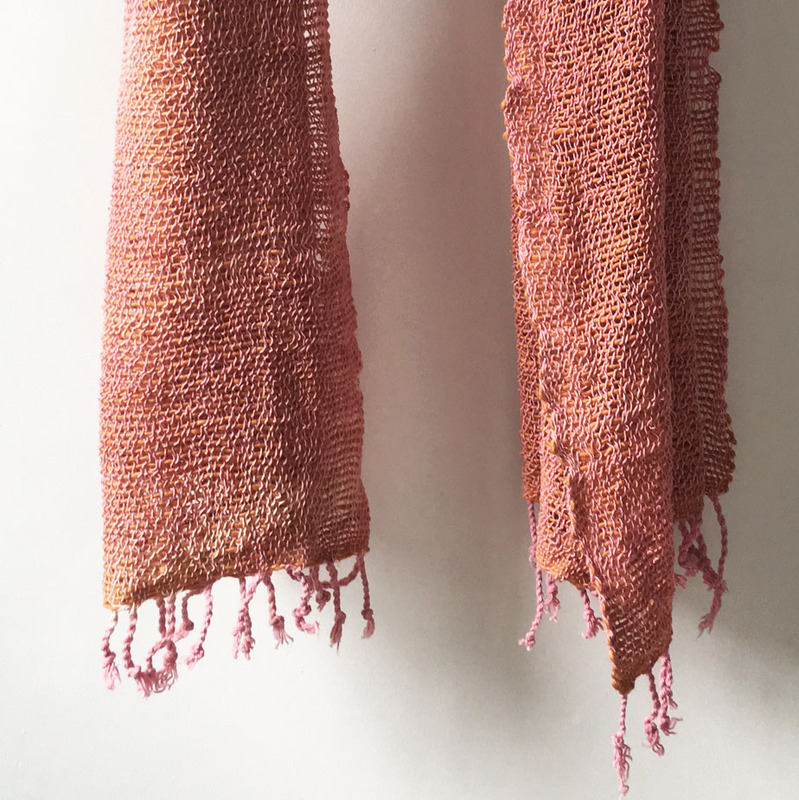 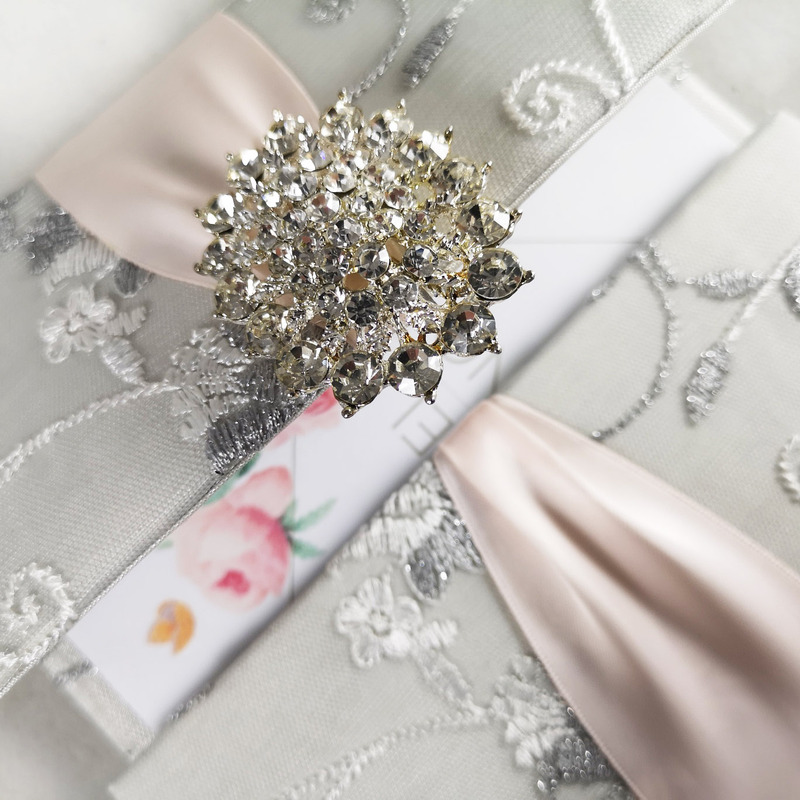 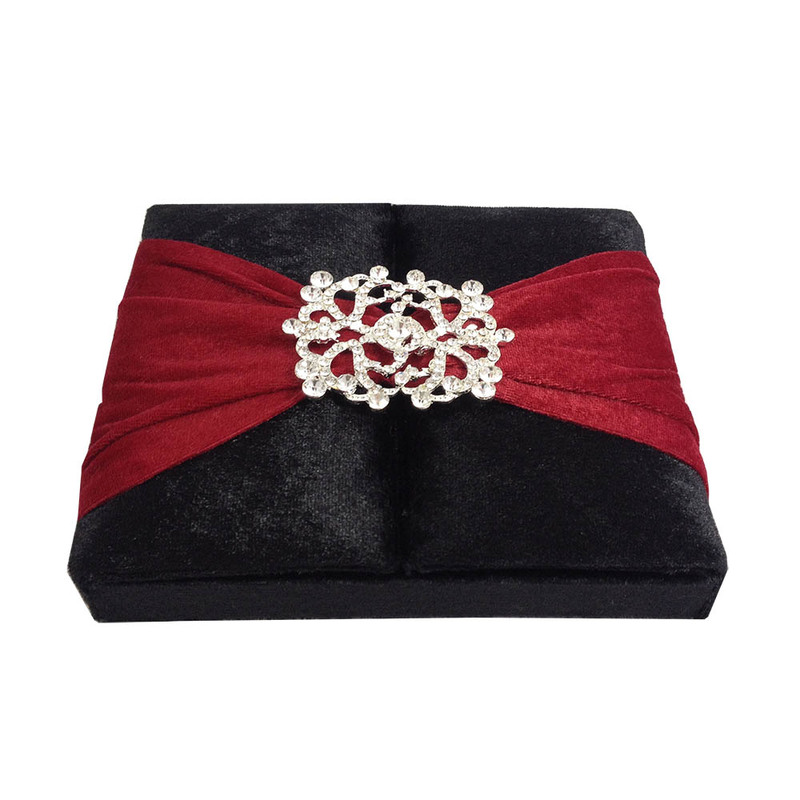 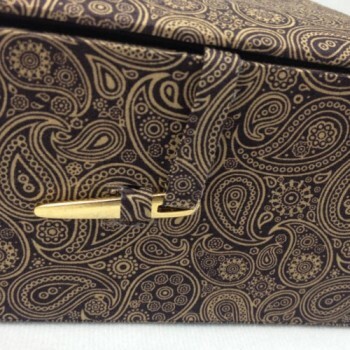 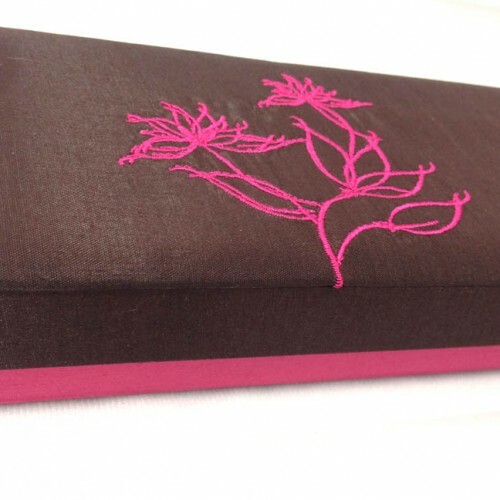 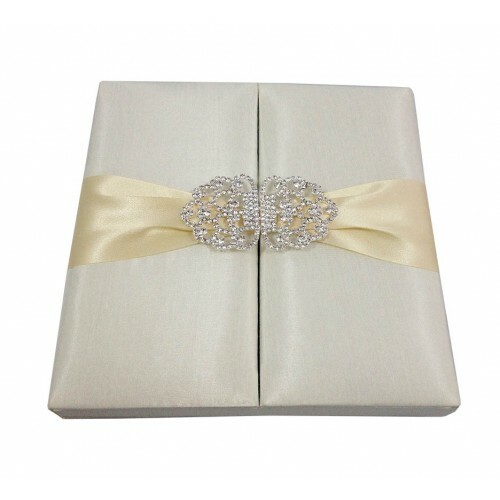 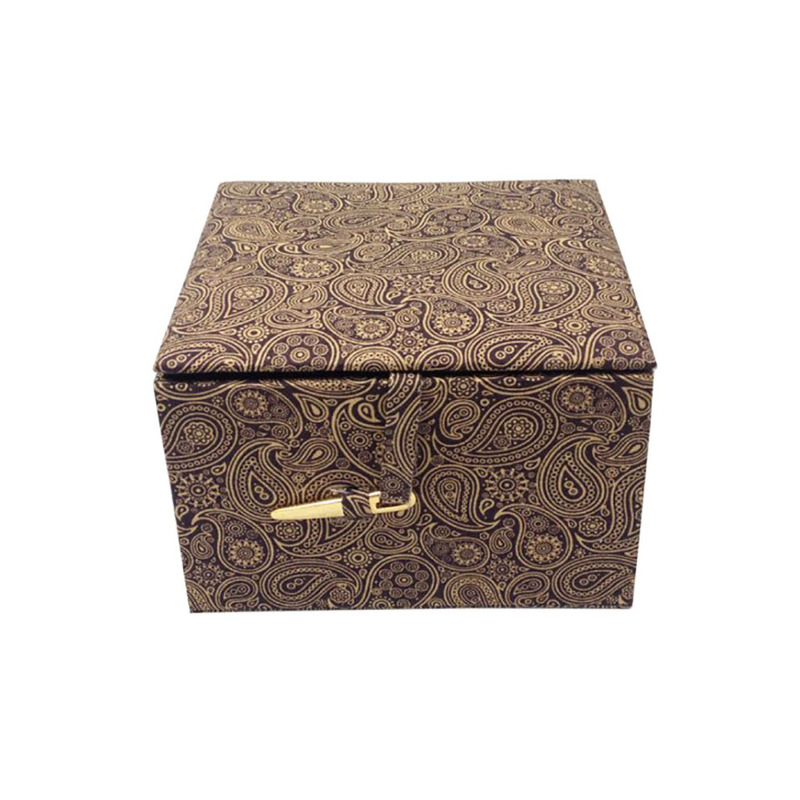 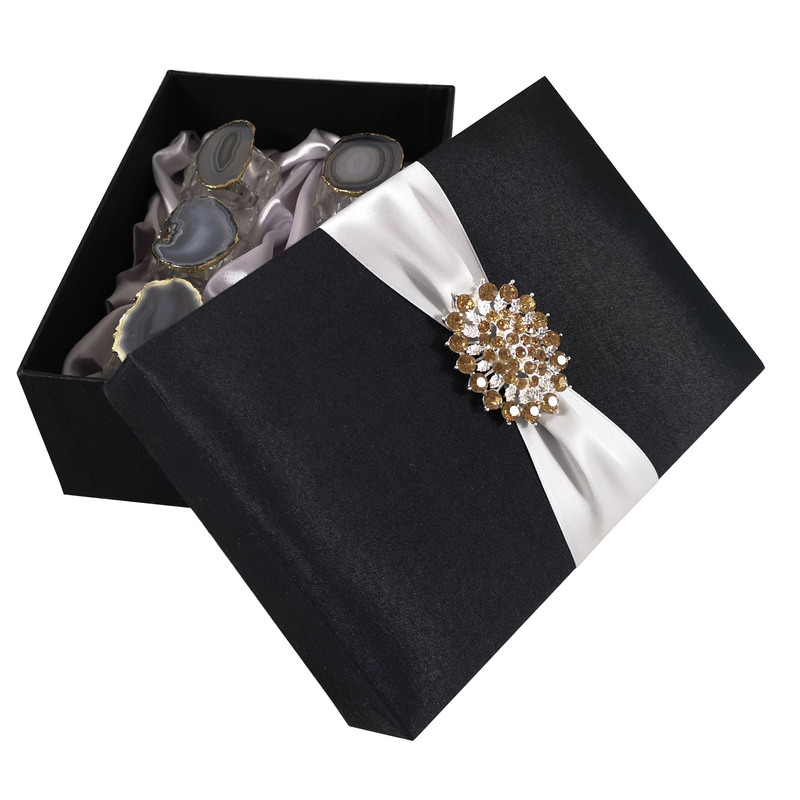 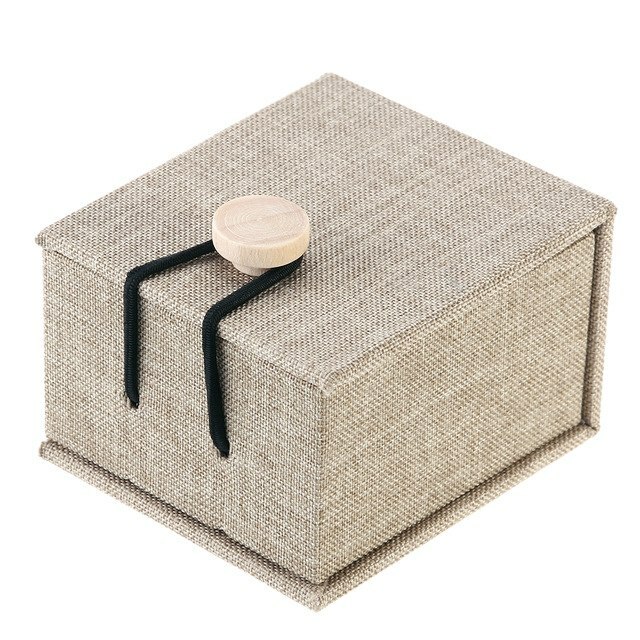 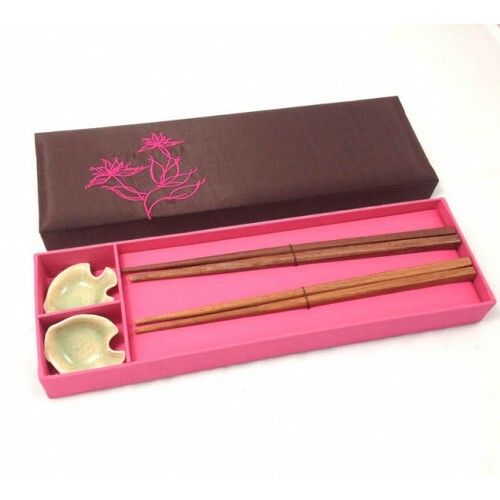 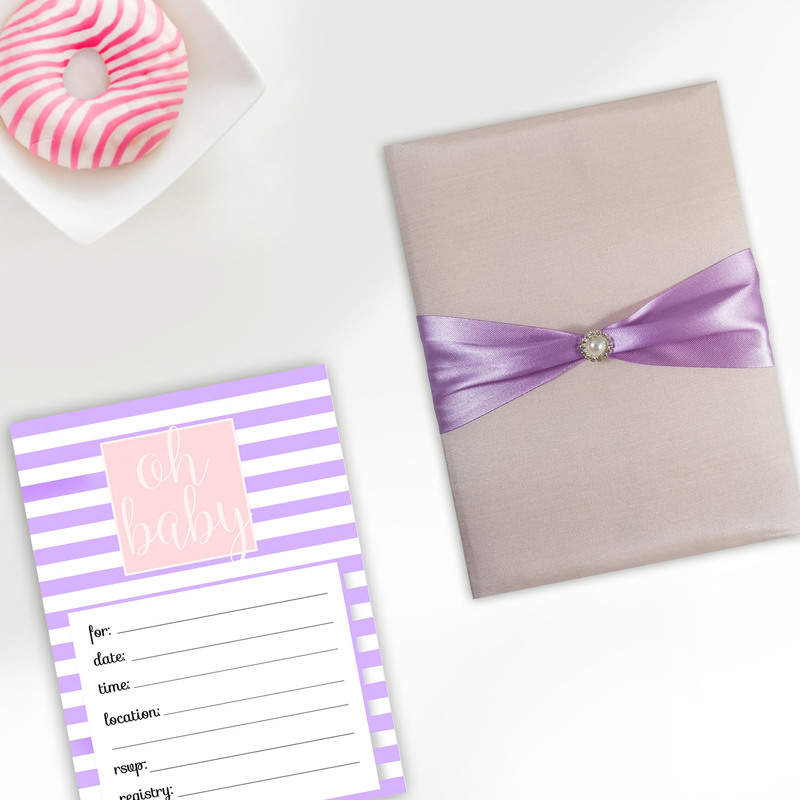 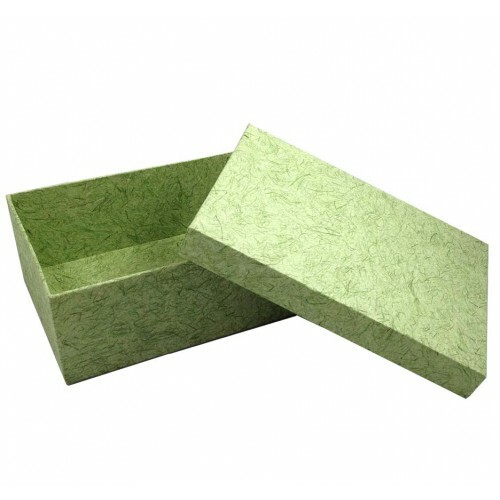 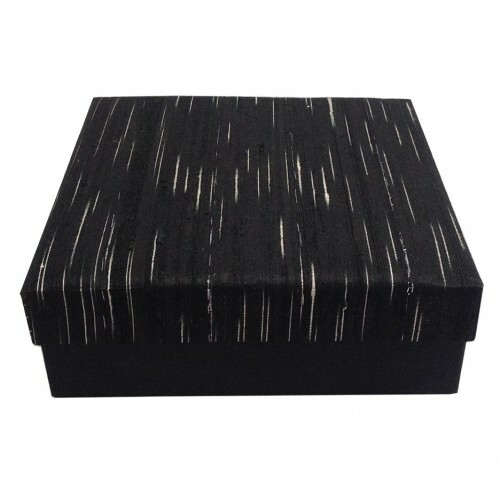 This invitation box is now also available, covered with pure Thai – or dupioni silk. 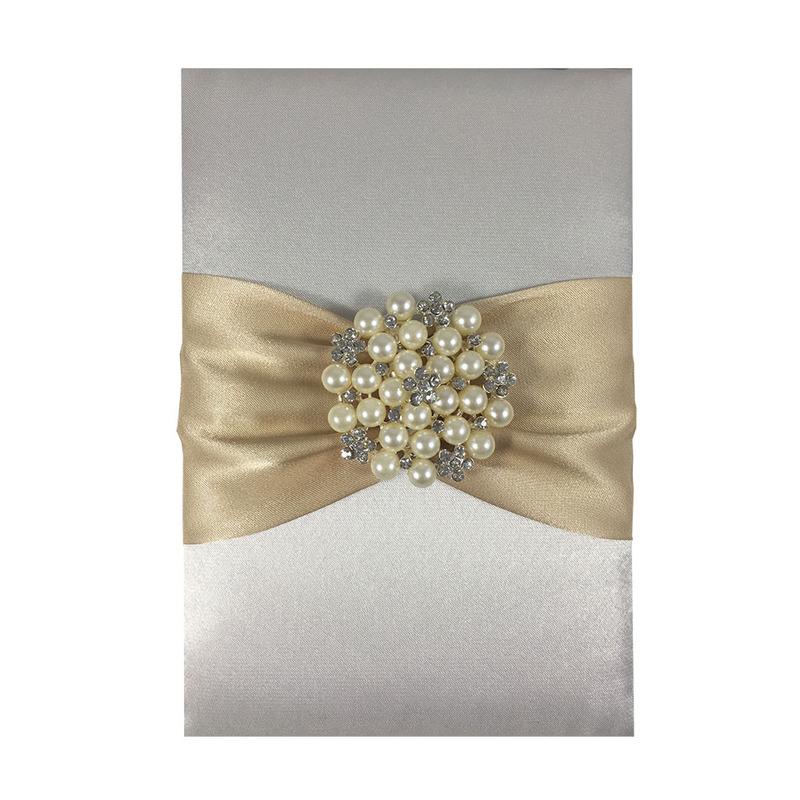 Bespoke invitations can be ordered from us upon request.